"Seek ye first the kingdom of God and His righteousness, and all these things will be added unto you." (Matthew 6:33) I have taken this as the desire of my life-to seek to do God's will above anything else. Our team was in the Finals 5 of the 7 years I quizzed. Bible Quizzing allowed me to study the Bible. I also put a lot of scripture in my mind which has helped me grow spiritually and as a pastor even today. How have you stayed active in quizzing? I wrote quiz questions for National Finals for 20 years. I have been a quiz coach, quizmaster, conference, and regional director. 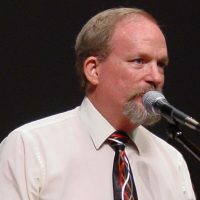 I am pastor of the Good Shepherd Free Methodist Church in Kissimmee, FL and also serve as Regional Bible Quiz Director for the southeastern part of the United States.